The next meeting of the Lake Effect Trailbreakers will be held Thursday night, April 11, 2019 at 7:30 PM at Cockcaigne Ski Resort. We will be meeting in the upstairs lounge. Please feel free to stop by early, mingle with club members/have dinner, etc., as this will be our last meeting of the season. Our club grooms over 70 miles of trails in and around the towns of Gerry, Kennedy, Ellington, Conewango Valley and Sinclairville using two Class A, Tucker Sno-Cat 2000's and a Class A John Deere Tractor, all with Sno-Paver drags. New to riding in our area ? There is a lot to see and do. Click here to join our club or to renew your annual club membership via the New York Snowmobile Association's website or stop by a club meeting! Or just contact us, we can postal mail or email a club membership application to you. ​Annual club membership is $35.00 (all clubs in the county have the same membership fee). The members of our club receive a free county-wide trail map and our club newsletter. 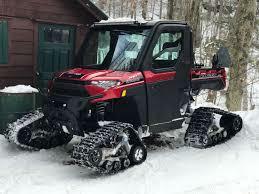 Club members also, automatically, become members of the New York State Snowmobile Association (NYSSA). The club is a 501(c)3 non-profit organization and incorporated through New York State. If you ever encounter any problems on our trails, please contact us and your concerns will be brought to the attention of our Trail Coordinator. ** THE CLUB NOW HAS A NEW POLARIS RANGER 1000 WITH TRACKS AND 16 FOOT TRAILER FOR MEMBERS TO USE! This will make it easier for those who do not have access to a vehicle to mark and trim trails. 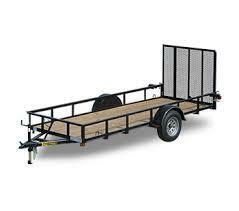 Using the 4x4 and trailer will be on a “ reserved basis “. Contact our Trail Coordinator , Don Cornell, to reserve the machine and trailer, then plan to bring it back as clean as you took it, fill it up with gas and turn in the receipt to the club for reimbursement. The insurance is covered by the club.